Christina (Tina) Elaine Lattimore was born August 14, 1977 in Columbus, Ohio to Pamela Lattimore and Christopher Bowman. She departed this life unexpectedly, Sunday, March 8, 2015 at OSU East Hospital. Christina attended Columbus Public Schools. She worked as a health aid at the Franklin County MRDD for many years and she also worked in the food service industry for SODEXHO. Christina accepted God as the head of her life and her passion for God showed in everything that she did. Christina was a devoted and loving mother, daughter, sister, niece, cousin and friend. Tina was such a sweet, gentle humble spirit with a big warm smile that always made people feel comfortable and accepted. Tina’s gift of gab never allowed her to meet a stranger. She was always willing to help others in any way that she could. Even though Tina experienced difficulties from her illness, she never complained. She always found the strength to cook for the neighborhood. Through her death she will be able to assist others with her donation of her big beautiful eyes and her beautiful skin. Christina’s unselfish love continues to shine through. She was preceded in death by her grandparents, Paul and Lucy Lattimore; Grandfathers, Wilbur Sellers, William Bowman and Chester Hawkins; Uncle, Paul Lattimore, Aunt, Charlene Young. Her survivors include her only loving daughter, Aaliyah Lattimore; mother and step-father Pamela Lattimore and Deangelo Stephen; father Christopher Bowman; brothers, Derias Lattimore and Deangelo Stephens II; sister, Sirisha Gammons and a host of family. Special cousins: Nikki, Kesha, Kara, Nate and Ollie Joe. Visitation 11:00am and Funeral 12:00 noon Monday March 16, 2015 at Kimberly Parkway Church of God 4150 Kimberly Pkwy. Interment at Eastlawn Cemetery. 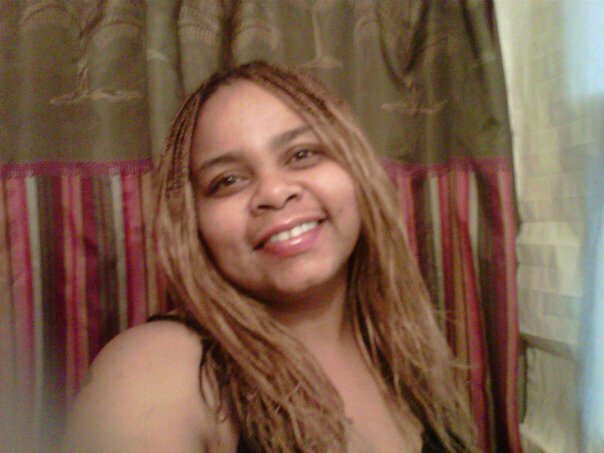 U WILL B MISSED TINA…LOVE YOU…REST PEACEFULLY LOVE!!!!! So saddened to here about the passing of Christina. May God strengthen your entire family. There is no heartache that God cannot heal.